By Pat Mills, Kevin O'Neill, Bryan Talbot, John Hicklenton and Tony Luke. By Carlos Ezquerra, Henry Flint, John Wagner, Gordon Rennie and Garth Ennis. 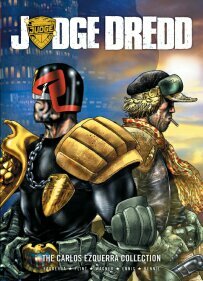 As co-creator of Judge Dredd, Carlos Ezquerra is responsible for the future lawman's iconic design, bringing a European sensibility to Britain's most famous comic character. Now you can witness the power of the master at work in this collection of modern Dredd stories. From the aftermath of Judgement Day in 'The Taking of Sector 123' to the tough justice of Cursed Earth Koburn this Graphic Novel contains the very best work of a true original. 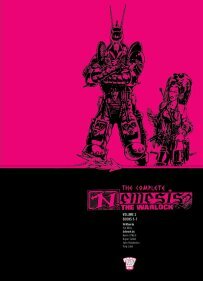 With stories by Garth Ennis (Preacher), John Wagner (A History of Violence) and Gordon Rennie (Caballistics Inc.) this compilation is pure 2000 AD gold! "After the world died we all sort of drifted back to school. After all, where else was there for us to go?" It's never easy being fifteen, but when your teachers are killing each other, the prefect who loves to bully you is experimenting with crucifixion, and the rival gang from across town have decided that ritualistic cannibalism is the way to go, spots and BO don't seem like such big problems after all. These are the final days of St Marks' School For Boys, and the punishment for disobedience is death! 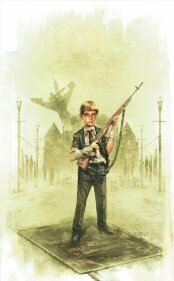 The Afterblight Chronicles is an exciting series of high-action post-apocalypse fiction set in a world ruled by crazed gangs and strange cults.